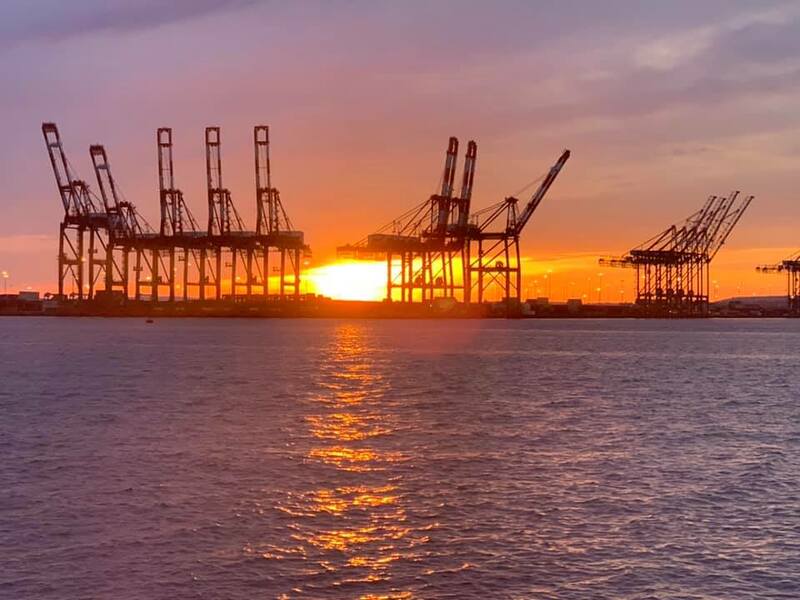 Denise Leonard shared this photo of the sunset looking west over Newark Bay at Port Newark. In a story in the April 11 edition of the Bayonne Community News titled “What you need to know about the 2020 Census,” we erroneously reported that the Bayonne Complete Count Committee is responsible for conducting the 2020 census count in Bayonne and will be hiring people to assist in the effort. The U.S. Census Bureau is responsible for the count and hiring. The Bayonne Complete Count Committee’s job is to publicize the census 2020 in Bayonne. We regret the error. Told through the legendary music of ABBA, “Mamma Mia!”premiered at Bayonne High School on Friday, April 12, with showings on Saturday and Sunday. The play is set on a small Greek island where the main character, Sophie, dreams of a perfect wedding which includes her father giving her away. The problem is that Sophie doesn’t know who he is. Sneaking a peek in her mothers old diaries, she discovers three possible fathers: Sam, Bill, and Harry. She secretly invites all three to the wedding, convinced that she’ll know her father when she sees him. But when all three turn up, it may not be as clear as she thought. The Bayonne Housing Authority, which oversees public housing in the city, received $3.14 million from the U.S. Department of Housing and Urban Development. In 2018, the Bayonne Housing Authority took in more than $11 million in revenue, up about $300,000 from the previous year. After much disagreement among trustees and the central office and a previous budget that passed by a thin margin of 5-4, the Bayonne Board of Education introduced an amended budget on March 19 and threw out its previously-introduced budget that included a 1.99 percent property tax rate increase. The newly-introduced budget, recently approved by the county superintendent, lowers the increase to 1.1 percent. It proposes $137 million in spending for the 2019-2020 school year, down from the $146.1 million the board originally voted for. The board will have voted on the budget at its April 17 meeting. Look for full coverage and analysis of the meeting in the April 18 edition of the Bayonne Community News. George R.R. Martin is by far the city’s most famous Bayonne native. His bestselling book series, “A Song of Fire and Ice,” published in 1996 was made into the worldwide hit HBO series, Game of Thrones, in 2011. Martin’s great-grandfather started a construction materials company in Bayonne in the early 1900s, built Brady’s Dock on First Street, and bought a house on Lord Avenue where Martin’s mother was born. The Great Depression wiped out the business, and by the 1950s, Martin and his family were living in public housing on First Street. In this way, Martin identifies with Daenerys Targaryen, who similarly lost her family fortune, albeit in a bloodier fashion. Martin now lives with his wife, Parris McBride, in Sante Fe, New Mexico. He was last spotted in Bayonne in early April at Hendrickson’s Corner, posing for a photo with Mayor James Davis. More than 490 schools have immunization rates below the required level to protect unvaccinated children attending them, while 13,000 children are missing vaccines that could prevent childhood illnesses, according to the NJ Department of Health. Measles outbreaks have made headlines in recent weeks, most notably in Rockland County, NY, which borders New Jersey. New Jersey has climbed to 13 cases. Statewide, 95 percent of children meet the full requirements for immunization. In Bayonne, six schools (which include two preschools, a children’s program, and a Jewish elementary school) fall under 95 percent out of the 30 Bayonne schools listed by the NJ DOH. At the Shark River Municipal Marina in Neptune on April 8, Gov. Phil Murphy said that there remain approximately 1,000 homeowners displaced after Superstorm Sandy. The $150,000 cap on federal grant support will no longer apply for Sandy victims, the governor said. The plan was announced six months ago, and it also includes rental assistance (up to $1,300 a month) and re-allocating $55 million in federal funds, according to WHYY. At an energy industry conference in New York last week, Gov. Phil Murphy revealed a new, state-led online portal designed to pair and network offshore-wind investors with New Jersey off-shore wind companies. The governor’s goal is to secure an offshore-wind capacity of 3,500 megawatts along the state’s coastline by 2030, which could power 1.5 million buildings, according to NJ Spotlight. Candida auris, a yeast, has infected a reported 587 people nationwide, with 104 cases in New Jersey and 309 cases in New York, according to the CDC. The fungus is not considered a “superbug,” which is defined as being resistant to medication. The fungus is dangerous, however, because it is difficult to treat. A new report published by the Centers for Disease Control and Prevention last week looked into Autism Spectrum Disorder among four-year-olds. Only 1.7 percent of the preschoolers (1 in 59) had autism, the same prevalence reported by the CDC’s April 2018 study of eight-year-olds. The difference between the state with the lowest rate (Missouri, with eight autistic preschoolers per 1,000) and the most (New Jersey, with 28 autistic preschoolers per 1,000) appears to be widening, because the diagnosis rate in New Jersey continues to outpace the rest of the nation. Last week, Gov. Phil Murphy signed into law a measure designed to help people in New Jersey get the help they need, and it just might reduce the stigma attached to seeking mental health treatment. The goal is for the state to “deliver access to mental-health and substance-use services on par with any other medical service,” the governor said. The law strengthens the federal Mental Health Parity and Addiction Equity Act, which requires insurers to file a report to the state every year. The covered conditions now include autism, eating disorders, obsessive-compulsive disorder, and post-traumatic stress disorder. One relatively unexamined element of Gov. Phil Murphy’s budget for fiscal year 2020 is a proposed tax on pharmaceutical companies that produce or distribute opioids. Details of the plan are vague, and it would require legislation, which has yet to be introduced, according to NJ Spotlight. New York, Delaware, and a few other states have taken a similar tack, with limited success. The state Office of Legislative Services released a report last week with an update: New Jersey might increase the gas tax, though it is too early to tell. The gas tax revenue “will fall short of the highway fuels revenue target, and this difference is to be made up in the following fiscal year,” the report says. The average price of gas per gallon in New Jersey is around $2.72, right around the national average of $2.70. A new Stockton University poll reveals that most people in New Jersey believe roads and bridges are in poor shape, but also feel that the federal government should cover the cost, pointing to the federal government’s proposed $200 billion solution and the fact that New Jersey already pays some of the highest tax bills in the country. Eighty percent of the 650 people surveyed rated the roads as fair or poor, and 63 percent said the same thing for bridges and tunnels. More than a third (38 percent) said they had felt unsafe on a bridge or in a tunnel. Some 78,000 children in New Jersey lack health insurance, according to a recently released report by New Jersey Policy Perspective. The enrollment number is so low that the state should set a goal of “universal health coverage for kids,” according to its author. Last week, Sen. Joseph Vitale (D-Middlesex) announced new legislation that aims to boost outreach funding for NJFamilyCare and bring premium costs down to zero. The measure would also close the 90-day waiting period and repeal immigration-related eligibility restrictions. Sen. Bob Menendez received a robocall during his press conference about the Telephone Robocall Abuse Criminal Enforcement and Deterrence (TRACED) Act. The measure unanimously passed the Senate Commerce Committee last month and would levy a fine on illegal robocalls and attempt to prevent the calls from reaching consumers. Robocalls are not just annoying: they’re ubiquitous. By one estimate, 135 million people in New Jersey were robocalled last month.